Your college staff can only ask you two questions about the dog: 1) Is this a Service Animal required because of a disability? 2) What work or task is this dog trained to perform? Your college staff can require documentation of your disability and need for an assistance animal, and can set limits on size, expected behavior and care of animals, licensing, veterinary and family contacts for emergencies, etc. This information is taken from the BarkPost blog. It's a simplified but helpful explanation; there are nuances that apply to various settings. See additional resources above. In addition to the usual police dogs, search and rescue dogs, and guide dogs, canines are gaining careers at an unprecedented rate. Every day in this country we are finding new jobs for our doggie companions. Many people do not understand the difference between an emotional support dog, a therapy dog and a service dog. These are three very different jobs for working dogs, and each comes with laws and requirements. An emotional support (ES) animal (usually a dog or cat) is a companion animal that provides a therapeutic benefit to his or her person. The animal requires no special training or testing, but the person must have a verified disability and a physician or mental health professional must write an annual prescription calling for an ES companion. Emotional support animals are allowed to fly in the cabin of all major airlines as long as the traveler brings along a letter from the medical professional who wrote the prescription. An ES animal is also covered under the Federal Fair Housing Amendments Act of 1988. 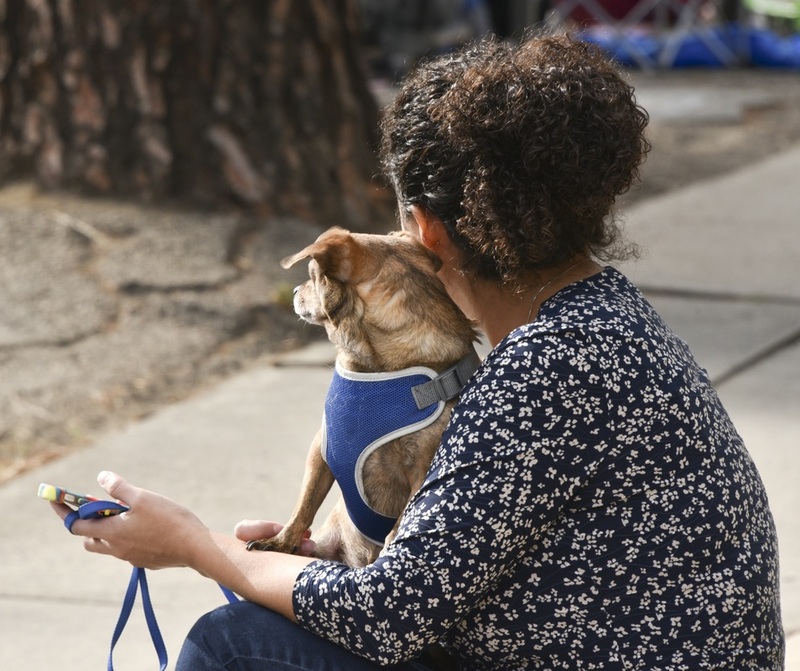 A landlord cannot refuse to rent to a person with an emotional support animal even if the unit is considered “no pets allowed.” However, landlords and institutions can establish limits on size and behavior and require that other restrictions be met. An ES animal is not a (ADA) service animal, and does not have the same public access rights. A therapy dog is a household companion who accompanies his person to bring comfort and affection to people in hospitals, schools, retirement homes, hospice or nursing homes. Because of legal and liability issues, most establishments will not let therapy dogs visit unless they have been certified by one of the national organizations such as Therapy Dogs International. It is not just the dog who is certified, though. The dog and his person are considered as a team, and must work together in order to meet the legal requirements of the certifying agency. Therapy dogs are not service dogs and do not enjoy any legal protections. They do not have rights to enter restaurants or public transportation. An ADA service or assistance dog is not a pet, but a dog who has been trained to help with a specific documented disability. There is no testing or registration required to have a service dog. Most people think of guide dogs for the visually impaired when you mention service dogs, but they can be so much more. Dogs have been trained to help the hearing impaired, to pull a wheelchair, to intercede when someone with PTSD starts to become overwhelmed in public. They can be trained to remind someone to take medication, to push elevator buttons, to alert when their owner is unresponsive. They can fetch necessary items such as a phone or a purse. They can brace to help their handler stand, or provide stability on stairs or uneven surfaces. They can even alert their handler in advance of a seizure or if blood sugar levels are out of whack. A service dog must be calm, psychologically sound, and have a great temperament. The dog must be in good health and intelligent enough to train to be of assistance to his person. Labs, German Shepherds and Golden Retrievers have historically been the breeds most used in assistance work, but that is rapidly changing as we discover that different breeds can easily be trained to accomplish amazing things. In the past, most service dogs were raised and trained by specific agencies. 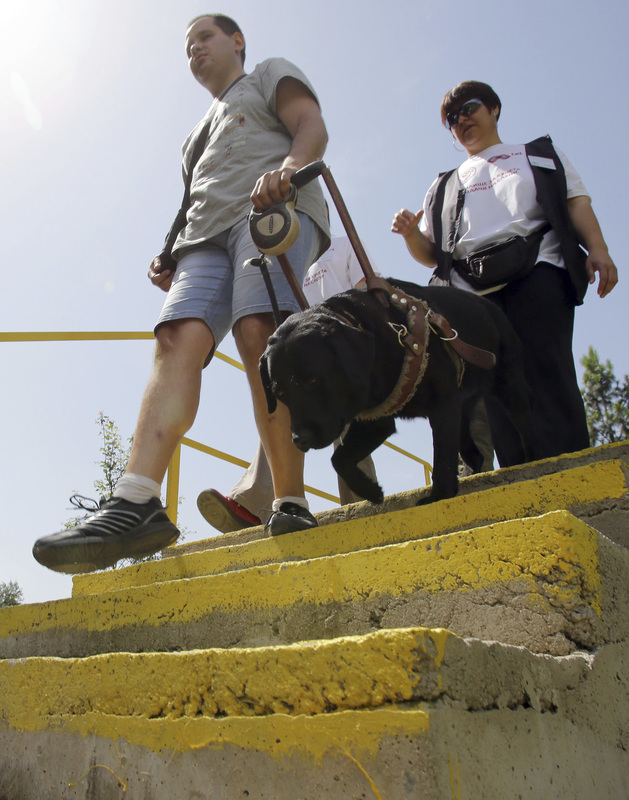 However, it is becoming increasingly popular for people to train their own service dogs while working with an agency. There are some excellent reasons to follow this path: the dog is already part of the household and known to the individual, training can be customized to be of most benefit to the human in question, and working together can strengthen the handler/dog bond. Individuals with PTSD can sometimes be more comfortable with a dog they are already familiar with, rather than an unknown dog trained by an agency. For others, it is comforting to have an assistance dog who has been completely trained in the traditional manner. A service dog is not required to wear a vest, special tags or a collar. They do not need a special harness or an ID card. However, most handlers choose to equip their dogs to keep challenges regarding public access to a minimum. A service dog is legally able to accompany his handler wherever he or she goes. This includes stores, restaurants, and any other building open to the general public. However, a handler can be asked to remove their dog if he is acting badly or is posing a direct threat to someone in the environment. No matter which type of working dog you encounter, never interact with the dog without the handler’s express permission. Please do not be offended if the handler asks you not to talk to or pet their dog. Service dogs in particular have a job to do, and shouldn’t have their attention diverted from their work. College Students! Be aware that your college can set restrictions on the type of animals allowed in residence halls. They can also require that you inform them in advance, complete a request form, document your disability, provide proof of your need for the animal from a legitimate clinician or doctor, require licensing and proof of vaccinations and health checks, and other aspects. You aren't allowed just to bring an animal in to your dorm room. Also, your college can require that you have a plan in place to deal with your absence. They'll want to know that a family member or friend will take and care for your animal if you are hospitalized or need to leave campus, and they'll want those contact names in advance. Just leaving your animal with your roommate is not acceptable.